Soon, you'll be starting a new chapter of your life — your Silver Years. And perhaps you're having uncertainties about retiring completely, or you just can't wait to retire. Whichever it is, one thing is for sure: life will be different, and your priorities might differ. That's why OCBC Silver Years is designed to help you ensure your plans are complete. So whether you tend to prioritise health, wealth, or your lifestyle, our holistic approach will help you complete all three to get the most out of your next chapter. Ready for your Silver Years? Answer these 10 questions to help you find out. How prepared are you for your Silver Years? Looking forward to it, I'm prepared. I think I am, but I have my reservations. I'm not sure if I'm able to retire soon. Do you keep regular track of your expense? Of course, I count every penny. Sometimes, if I remember to. Nah, it's too much work. Do you know how much money you need to retire? Yes, I've been preparing for it since day one. Have you done the necessary planning for your legacy? Do you have plans in place in the event you lose your decision-making capabilities? Nothing will happen to me. What's your regular diet like? No oil. No salt. No sugar. And preferably brown rice. I try to ask for less oil and sugar whenever possible. I eat whatever I'm craving for. That's what life is all about. Do you have any health insurance coverage? I'm fully covered. From accident to hospitalization to illnesses, and more. I think I have one or two insurance plans for myself. How digitally savvy are you? As savvy as someone in their 20s. Do you have the right credit cards for your lifestyle? I have a few cards to maximise my rebates and rewards. I'm loyal to my one card. How often do you say yes to your friends and adventures? I never say no to fun! I have my fair share of outings and new experiences. Like him, you're a super saver. You work hard to save for every day, and always make sure no penny goes unsaved. But along the way, you may have sacrificed your health and maybe even spent lesser time with your loved ones. While securing your future wealth is important, it shouldn't come at a cost. Find out how you can complete your Health, Wealth, and Lifestyle with OCBC Silver Years. You prioritise health above all else  going to great lengths to eat right and exercise regularly. It's safe to say you're in the pink of health, but can the same be said for your wealth and lifestyle? If the answer's no, don't sweat it. Like him, you say "can" to everything. Because life is all about living in the moment. While that's great, without a balanced plan to keep your finances and health in check, are you really living life to the fullest? You're in great shape and your social calendar is packed with activities. But are you forgetting something? 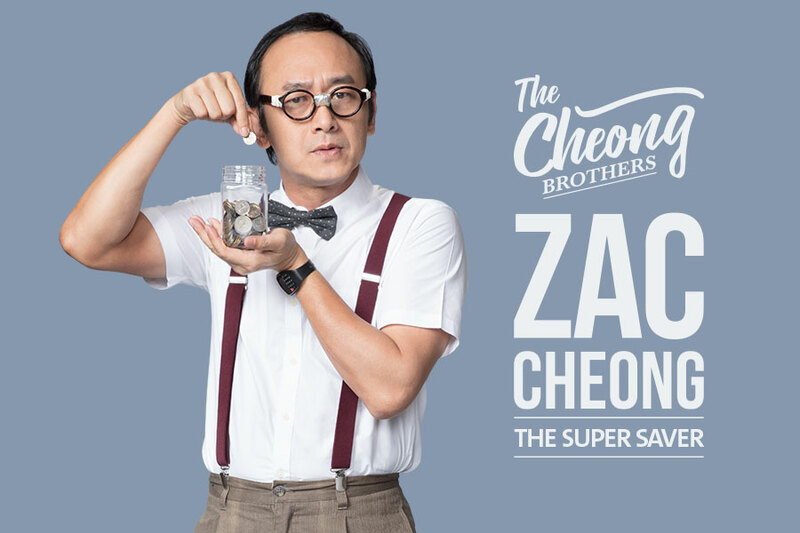 You may have an adequate cash flow now, however, like what Zac did, it's essential to ensure your funds continue generating a steady stream of income even after you retire. Your social life and finances are looking good. Your health, on the other hand, could use more attention. Start by eating right and taking some time to exercise. Because how fulfilling would your Silver Years be if your health gets in the way? You're in good health and your finances are on track  your Silver Years is almost complete. Now all there's left is for you to indulge and have fun every now and then. Meet your friends, it's alright to stay out a little late sometimes. Have that ice cream. Pick up a new hobby. Get that top you've been eyeing. You've planned for your retirement, but it's possible that your needs and priorities have changed along the way, causing your plan to become lopsided. There's no need to be disheartened. You have the foundation, it's not too late to complete your Silver Years. Congratulations. Your Silver Years is complete, you've done a great job balancing all three aspects  health, wealth, and lifestyle. Sustaining this balance is key to a happy retirement. 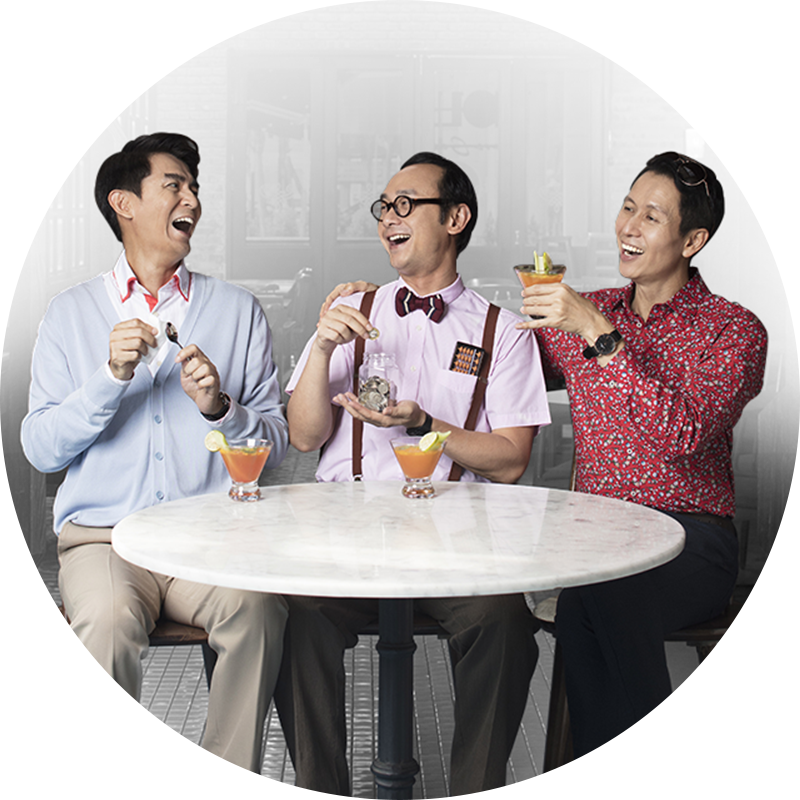 Find out how you can ensure your Health, Wealth, and Lifestyle stay complete with OCBC Silver Years. When it comes to retirement, money is often the top priority. Most people would have done some form of retirement planning, which typically focuses on building a nest egg. But don't lose sight of your health and lifestyle, they matter too. If you've already retired, find out how you can enhance all three key aspects of your Silver Years to continue living it up with no worries. We'll help you understand and plan how much you need to sustain your Silver Years with OCBC Life Goals Planner. We'll evaluate your portfolio, work out asset allocation towards post-retirement, and identify gaps. We will provide suggestions to rebalance your portfolio if necessary. Over the years, we'll provide tools to help you monitor your income and spending regularly, ensuring you have an adequate cash flow to sustain your lifestyle. Covering your health pays in the long run. 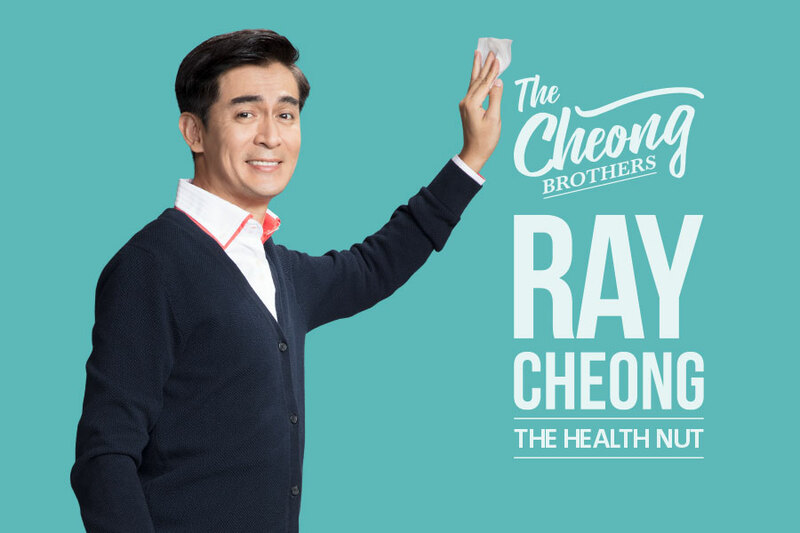 Ray has done it, so can you. Enjoy your new chapter and let your wealth do the work. Find out how Zac does it. 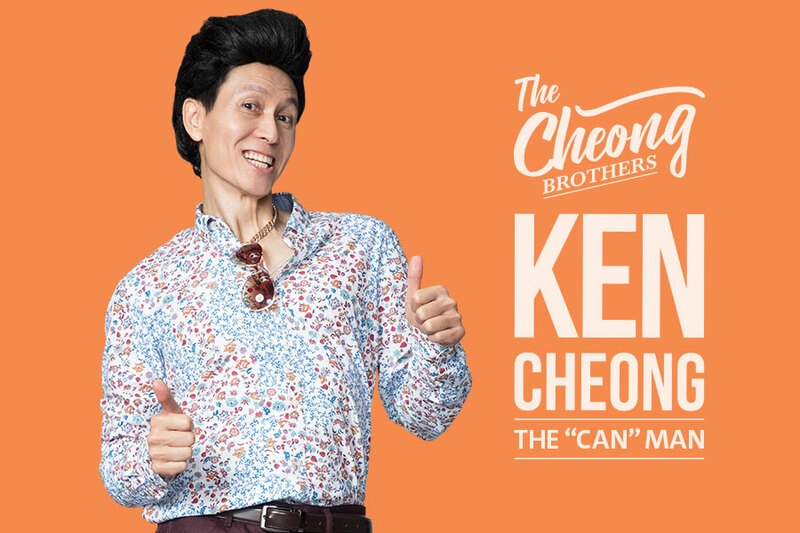 Master your lifestyle by saying "can" to a wealth of new experiences, just like Ken. and work towards the Silver Years you want. Terms and Conditions apply. This is for general information and does not take into account your particular investment and protection aims, financial situation or needs. You should seek advice from a financial adviser before committing to a purchase. Otherwise, you should consider the suitability of the product. Insurance plans are provided by The Great Eastern Life Assurance Company Limited. This is not a contract of insurance. The precise terms and conditions of the insurance plans are specified in the policy contract. Buying a life insurance policy is a long-term commitment. An early termination of the policy usually involves high costs and the surrender value payable, if any, may be less than the total premiums paid. A copy of the prospectus of the fund is available and may be obtained from the fund manager or its approved distributors. Potential investors should read the prospectus for details before deciding whether to subscribe for, or purchase units in the fund. The value of the units in the funds and the income accruing to the units, if any, may fall or rise. Payouts are not guaranteed and may be changed at the fund manager's discretion without prior notice. Please refer to the prospectus for the name of the fund manager and the investment objectives. OCBC Bank, its related companies, their respective directors and/or employees (collectively "Related Persons") may or might have in the future interests in the investment products or the issuers mentioned herein. Such interests include effecting transactions in such investment products, and providing broking, investment banking and other financial services to such issuers. OCBC Bank and its Related Persons may also be related to, and receive fees from, providers of such investment products. Policy Owners' Protection Scheme The insurance plans are protected under the Policy Owners' Protection Scheme which is administered by the Singapore Deposit Insurance Corporation (SDIC). Coverage for your policy is automatic and no further action is required from you. For more information on the types of benefits that are covered under the scheme as well as the limits of coverage, where applicable, please contact us or visit the Life Insurance Association (LIA) or SDIC websites (www.lia.org.sg or www.sdic.org.sg ).